Mr. Clean came out with a new product called a Magic Eraser. This Eraser is rectangular in shape. It has a spongy shape and needs to be dampened to work. Because the Magic Eraser is made from a porous material, it can get even the hardest-to-clean item clean again. It has been tested on all types of products, including cars. 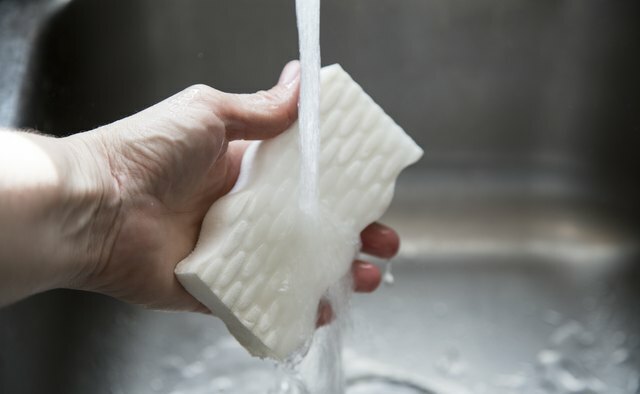 Add enough water to the Magic Eraser to get it wet, but not dripping wet. 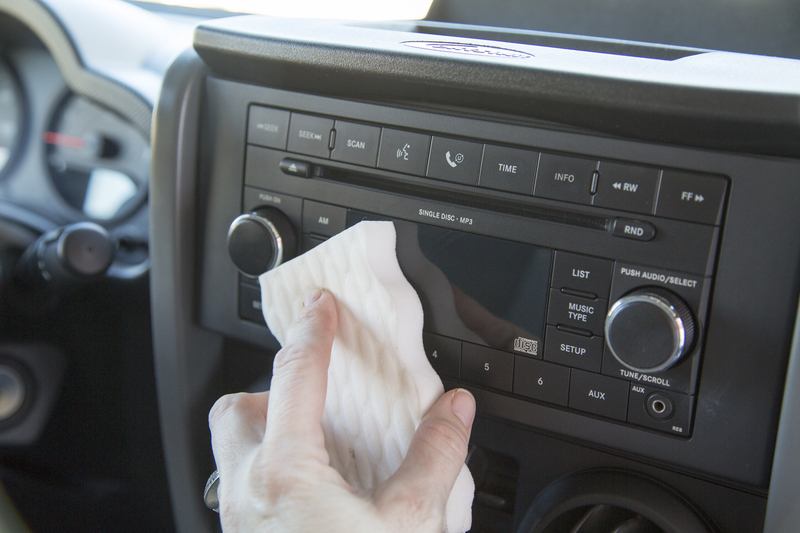 Begin wiping down the inside of your car. Start with the dashboard and work your way over your console. The Magic Eraser will get in between all of the buttons with ease and remove any dirt or grime that has gotten stuck there. 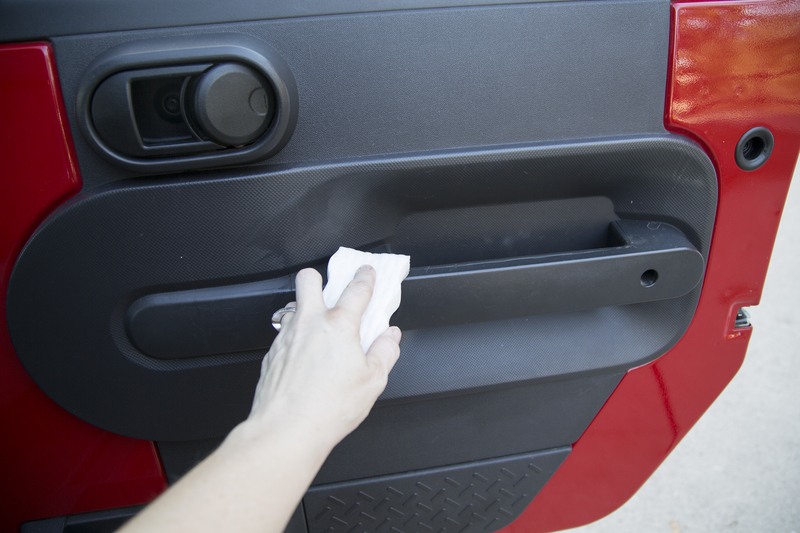 Continue wiping down the inside of the doors. Get around the door handles and window edges. Wipe down your arm rests. If there are any stains on the arm rests, the Magic Eraser will get them off. Move on to cleaning your steering wheel. Steering wheels can get dirty where a person normally keeps their hands while they are driving. Wipe down all sides of the steering wheel and then go over the key hole and surrounding areas. 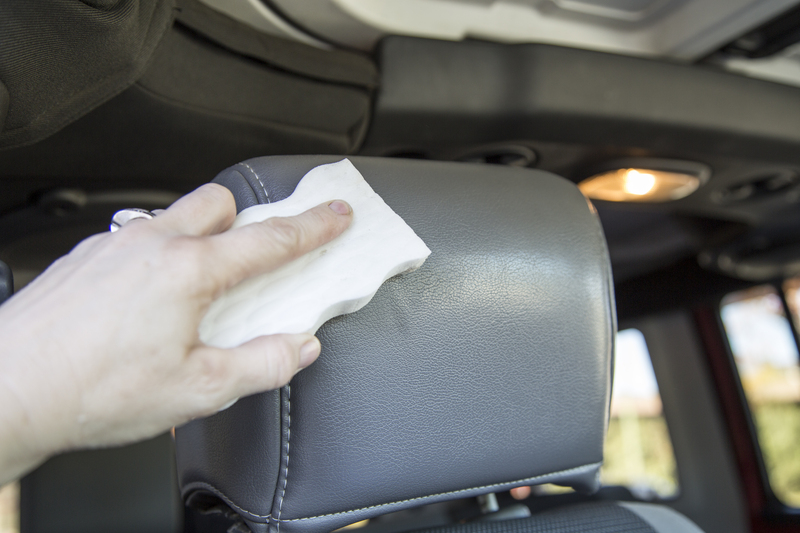 Rub the Magic Eraser in circles on any leather surface in your car (such as leather seats) that contain stains. Watch as the stains magically disappear. 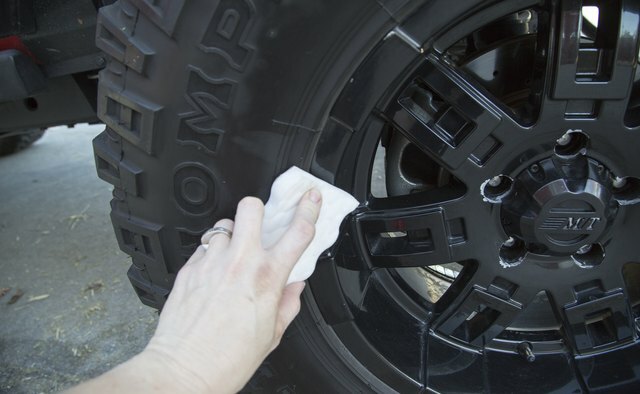 Get a fresh Magic Eraser for the outside of your car. 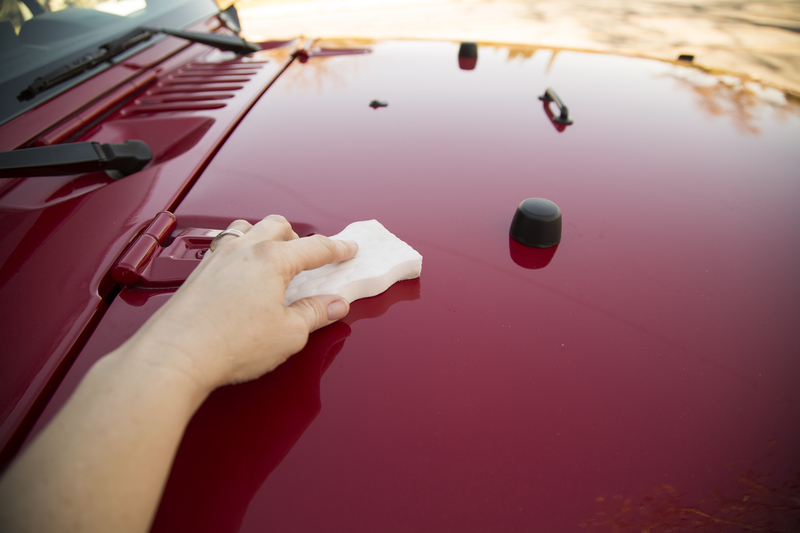 Get it a little wet and use it to clean the pollen off of your car. This will help you if you are an allergy sufferer. The product is safe to use on all of the outside surfaces of the car. 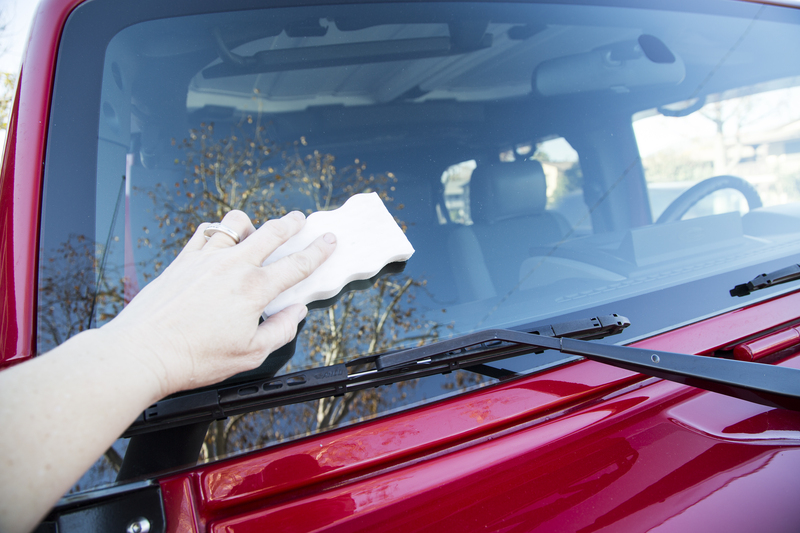 Remove bugs and debris from your windshield by cleaning it with a Magic Eraser. Just run the Eraser over the area until the bugs or debris come loose. You will then need to rinse the windshield off with plain water. Consider using a Magic Eraser to clean your car tires. They can clean off dirt and grime without any problems. Just rub them in a circular motion and then rinse off the dirt and grime you just got loose with your garden hose. 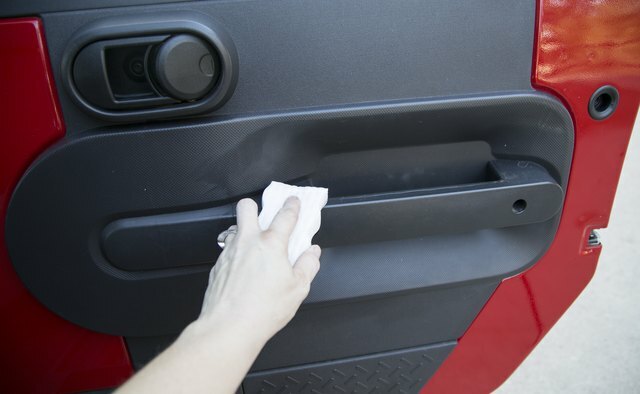 One Magic Eraser can clean the inside of your car. You may want to add a few drops of water every few minutes if you think the Eraser is getting to dry. Use a Magic Eraser to get out a stain, such as a permanent marker, from the fabric of your car. You just can't clean the entire fabric seat or carpet with the Magic Eraser. Don't press hard for the Magic Eraser to work so save your energy.